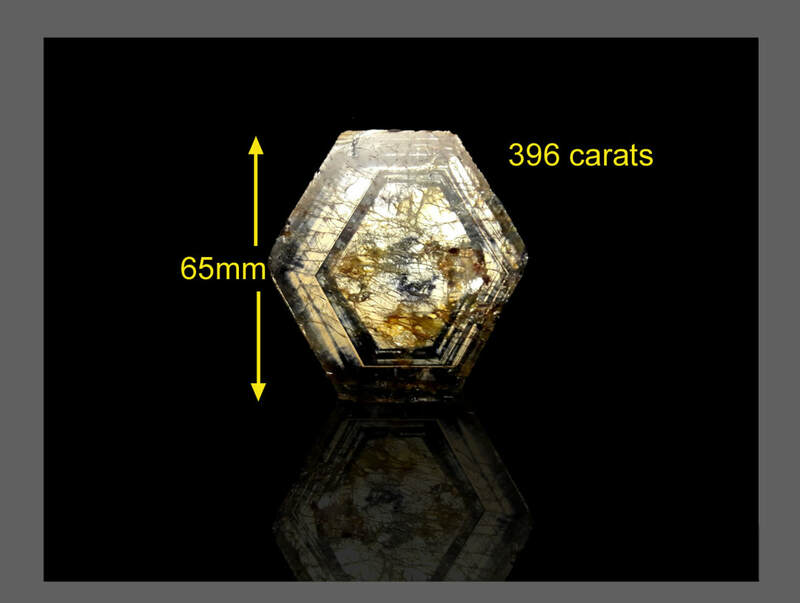 A 396 carat huge stunning full golden hexagon, the only one we found! This piece is natural and not faceted yet. Suitable for a collector. You are welcome to ask. Price $14,000. Video of it also available. 18 carats, unique goldsheen sapphire and citrine. Only one made. 18 carats,Unusual goldsheen marquis and citrine 'beetle.' There is only one made of this piece. Huge sapphire 87 carats. 31mmx57mm. This is a rare huge and amazing piece. 118.1 carats 38x24x8.5mm Very beautiful look. This would make a very distinctive male pendant. Golden Hexagon 395 carats, not yet faceted. Incredible unique piece. This was the largest complete hexagon we have ever found. Goldsheen sapphire special piece, 9.85 carats, One only. Partial hexagon and blue sapphire. Translucent. All these photos are the same piece. Blue special sapphire from the goldsheen mine. Translucent and partly transparent. 36.2 carats, 25x18mm, Very large heavy piece, gorgious blue cabochon. Suitable for a pendant. inside. See the video to appreciate. Stunning. **For Visa/mastercard etc click on PAYPAL and then 'Guest payment' at the bottom. 15.45 carats 25x14mm A yellow/dark blue coloured Sapphire from the goldsheen mine. An unusual and very beautiful sapphire suitable for a pendant. 22.2 carats 27x20mm Goldsheen - a wonderful and amazing golden shimmer. A very strong golden sheen on this piece. 19.6 carats 29x10mm Goldsheen sapphire - a unique piece. Stunning 'woodgrain' lines and shine. Exceptional grade rare piece, flawless surface. 10.85 carats 25x10mm Goldsheen sapphire - a rather a good example. 12.35 carats 25x15mm 'goldsheen - a wonderful and amazing golden shimmer! 17.5 carats 26mm x 23mm Translucent, a unique sapphire with a wonderful shell-like iridescence and golden sheen when moved in the light. Only one piece. Translucent goldsheen is a rare occurance of goldsheen sapphire coming from only one mine in the world. This is a large flat thin slice suitable for a pendant with a backing.